Adsense Earn money online What is Adsense?How people are earning from Adsense? What is Adsense?How people are earning from Adsense? Now a days lots of people are get earning by the help of Google Adsense but many people don't know how we can earn from this amazing Google products.Basically Adsense is a product of google that serve the advertisement on the Blog or Website and YouTube also. Adsense is a product of Google that provide advertisement on website or blog.We have two option for earning from Adsense first one is website and second is YouTube. How people are earning from Adsense? 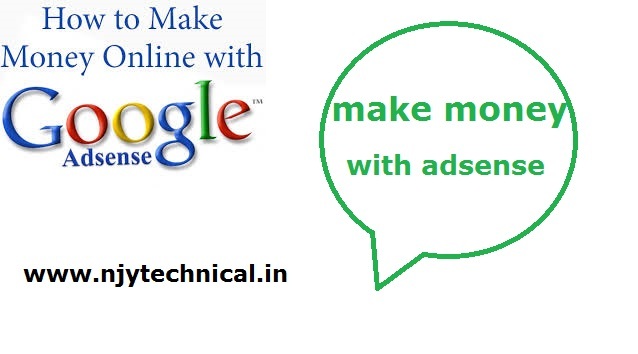 We all know we have two option to earn money online by Google Adsense these are YouTube and Website. 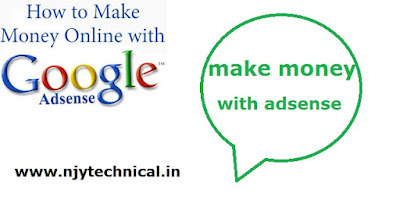 This is two most popular method to earn mney from Adsense.If you not follow the all proccess acording to rule then your Adsense acount can be termineted.To create a Adsense account is very easy but to keep the account safe is very hard because if you do any small mistake also ,its dangerous for your Adsense account.You can also earn money by Admob.Admob is also a Google product but it is used in android app.When we build a android app the we need to create a Admob account for placing ads in our app.When people open your app in mobile devices then ads will show and google adsense pay the money for showing this ads on your app. I hope you all understand the how people earn lots of money by using Adsense.If you like this post please share this in all social media platform.